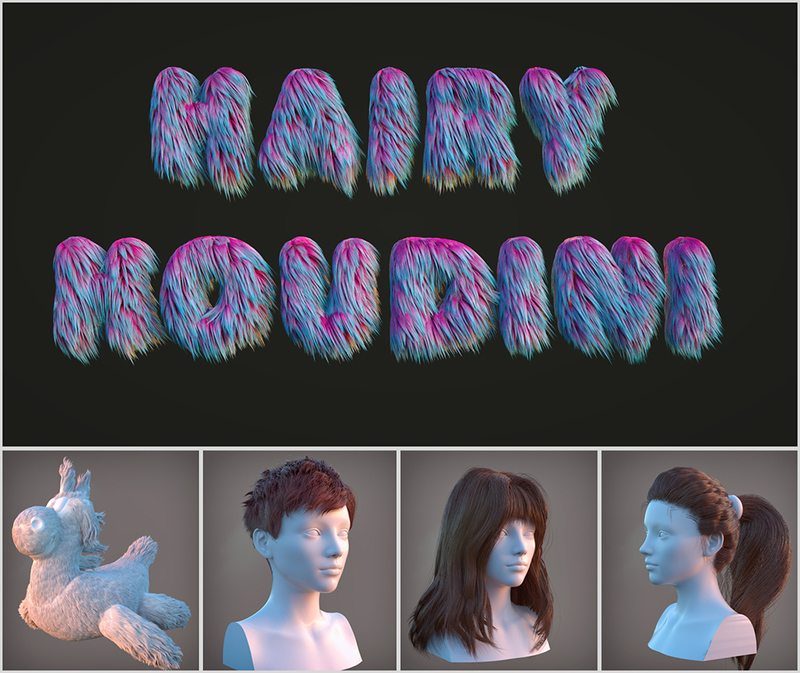 Kindly read - Changes in Houdini since version 13 and how they affect my training videos. 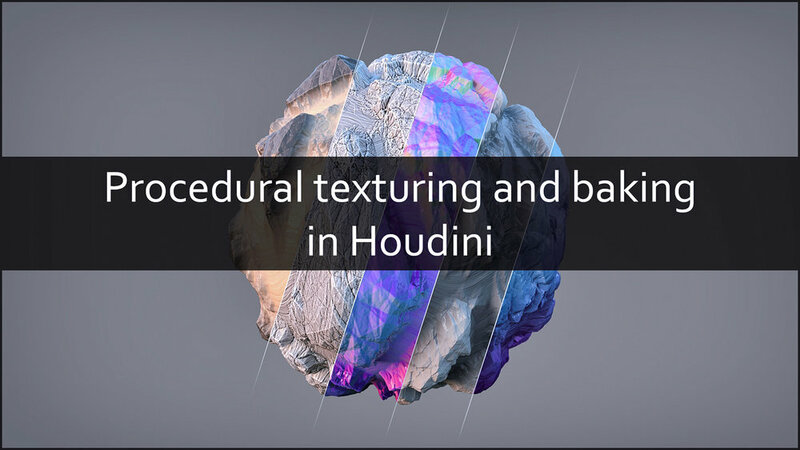 The purpose of this training is to make a variety of texture based objects via the various procedural textures and patterns available in Houdini. We shall then bake these objects out to textures using the Houdini bake ROP and use them to build shaders in any other render engine. This training covers various procedural methods on creating ornamental patterns and designs in Houdini. The methods includes standard procedural modeling, L-systems and voronoi fracture to generate a variety of patterns. This training is will cover the new height field tools introduced in Houdini 16. The training comprises of 5 projects that will cover techniques to create a variety of terrains. This training is a series of small projects that will cover the building and rendering of a variety of volumetric rendering effects such as clouds, pyro shaders, nebulas, volume lights, volume fogs , etc. This training covers the process of building a highly detailed sci-fi power module and it's surrounding environment entirely from scratch in Houdini. To model this scene we shall use a combination of poly modeling, NURBS, VDB and a little bit of VOPS. This training will also help highlight the advantages of having a procedural system while building complex models and environments. The final chapter will take a look at how to render the scene in Octane Standalone by exporting the scene using Alembic. This training series is meant to take the viewer through a majority of the aspects of Houdini via a single project. The project will cover a wide range of topics including Procedural Modelling, Environment Generation, CHOPs, Rigid Body Dynamics, Constraints Network, Smoke Simulation, Materials, Lighting using HDR images, setting up Takes and passes and final rendering and compositing. This training demonstrates how to use Houdini to create a parametric vehicle. Over the course of this training we will see how to use Houdini's basic polygon modeling techniques to create a fully controllable and procedural Vehicle model and also set up all the various parameters required to control and animate the vehicle. The aim of this commercial training is to take you through the process of creating the Motion Graphics animation you are seeing in the promo. This is a two part commercial training in Houdini. The training will take you through various aspects of Houdini including, Polygonal Modeling, Procedural modeling, Dynamics, Shader Building, Lighting, Rendering and Color Grading. This 3 part commercial training series takes you through the process of creating the floating islands image in Houdini. The course covers various topics such as terrain modeling, modeling vines and creepers, grass generation, L-systems, Custom plant and tree modeling, Fluids, Rigid Body Dynamics, building custom forces, particles and lighting and rendering the final image. this relatively small beginner level training series is primarily focused on creating parametric objects in Houdini and then converting them into Digital Assets. The training will also look at animating the gears using simple maths and also creating specific metal and plastic shaders for the gears.